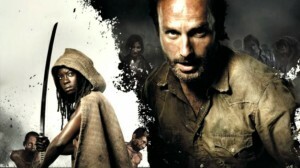 I should start by admitting that I am a huge fan of The Walking Dead. Every Sunday night, my wife and I watch it like clockwork. Having said that, I was disappointed last night when the dialogue revealed that, while the show may be set in Georgia, the new episode writers almost certainly come from either New York or Chicago. This entry was posted in Georgia, Popular Culture, Zombie Apocalypse. Bookmark the permalink.